Every year on September 30th, the world pauses momentarily to celebrate the vast contributions of its translators. 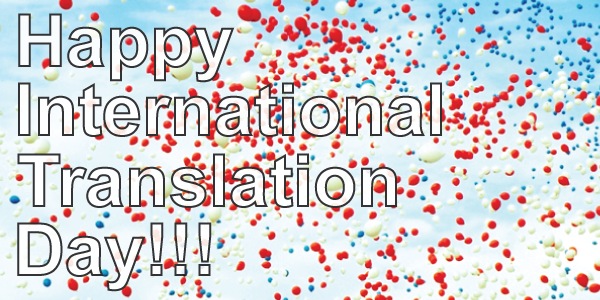 International Translation Day began in 1953 when members of the International Federation of Translators (FIT) decided their profession deserved a day of recognition– and rightly so! Not coincidentally, September 30th is also the Catholic Church’s feast of St. Jerome, the patron saint of translators, librarians and encyclopedists. St. Jerome, who lived during the latter part of the 4th century, famously translated the Old Testament into Latin directly from Hebrew text. In any case, International Translation Day remains a completely secular holiday. In 1991, the FIT campaigned for its official recognition, and today, it’s celebrated around the world. If you work directly with translators — or if your friends or family members are translators — please take a moment today to say thank you. Translators’ work is both extremely difficult and entirely indispensable. Give translators some props today!